Hon. Barr Kennedy Ibeh, the Honourable member representing the good people of Obowu Constituency at the 8th Imo State House of Assembly was born on the 25th June 1976. 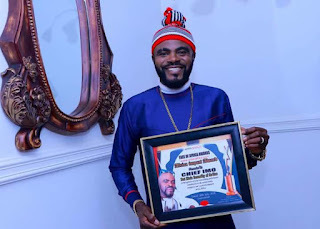 He was recently given an Award in recognition of his outstanding performances, leadership qualities, unparalled humility, zeal and passion to see Ala Obowu Di Nma. He has strived to bring dividends of democracy to Obowu constituent. Successfully carrying out several empowerment programmes, financial assistance to several unemployed graduates from Obowu constituency to enable them set up their own business and assisted many secure jobs. He recently, gave out equipments, transformers, scholarship scheme, and facilities to his constituents, paid for Jamb for 50 student, refurbishment and roofing of Secondary schools to mention but a few. He is simply a proactive legislator who has excelled in his legislative duties and one of the few that is outspoken at IMHA despite being a first timer. He has received numerous awards, accloades for his vision, enterprise and selfless services. In recognition of his outstanding performance, the Face of Arise Africa Award singled out Rt Hon Ugonna Ozurigbo & Hon Barr Kennedy Ibeh for special Recognition/Award. 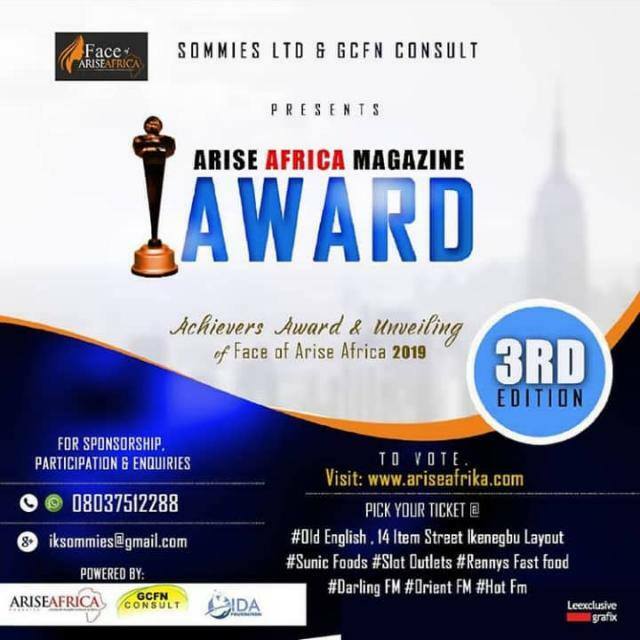 In a congratulatory message, Anyanwu Publisher Arise Africa Magazine expressed his delight at the award and maintained that it is well deserved. He adds, "Your selfless service to constituents has not gone unrecognized: this award is our way of showing gratitude, encouraging you. We urge you to continue setting the pace"
Hon Barr Kennedy Ibeh is a devout Christian and member, Christ Embassy. with a grade A in his common entrance Examination at Regina Caeli Primary School Umunachi Obowu, Hon Barr Kennedy Ibeh proceeded to the prestigious Ascol Comprehensive Secondary School Ajeokuta, Kogi State. Fortunately, the political life of his late father, Hon Stanley Ibeh brought the young Chodozie Ibeh back to Eastern Nigeria where he eventually completed his secondary education. Therefore, he registered and wrote his Senior Secondary Certificate Examination in Okenanlogh Secondary Technical School Obowu and the result was excellent. Kennedy Ibeh eventually gained admission into Enugu State University of Science and Technology to study Political Science. After one year, he made an astonishing 4.52 CGPA and was persuaded by his Lecturers to transfer to faculty of Law. In 1996, young Kennedy's name appeared as number one in the University's Intra-University transfer list to study Law. All through his career as a Law student he was excellent to the admiration of his Lecturers and consternation of his classmates. In 2004/2005, Kennedy Ibeh graduated from Nigerian Law School Lagos Campus where he made a glowing Upper (2 /1). He also holds a master Degree in Law from Abia state University Uturu. Barr Kennedy Ibeh was called to Nigerian Bar in 2005 and commend Legal pupilage in Owerri. He was attached to Late Barr Uzoma Nwogu of Uzoma Nwogu & Co Barristers and Solicitors Chambers of No 1 Lobo Street Owerri Imo State. While in legal practice, Barr. Kennedy Ibeh joined the People's Democratic Party in 2006 and in 2008 he was appointed a Transition Committee member for Obowu LGA and it is on record that he is still the youngest to have held the office in Obowu. However, in 2010 he became the councilor representing Okenanlogho Ward after series of elections between 2006 and 2010, a position the father held some years back. And fortunately, Hon Barr Kennedy Ibeh emerged the Lease of Obowu Legislative Council in 2011 until the then in-coming Governor of Imo State H.E Rochas Okorocha dissolved the. LGA Council Officers on the 6th of June 2011. 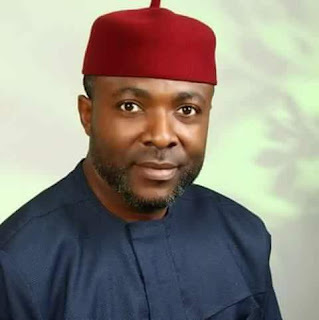 His mastery of Political World gave him relevance in a new APGA government in the same 2011 that her was appointed a Special Assistant Political to the then Commissioner of Finance, Dcn Chike Okafor, a position that he effectively used to switch the political tide of Obowu LGA to the glory of God. In 2013, Hon Barr Kennedy Ibeh was appointed Special Assistant on Labour Matters by His Excellency Owelle Anayo Rochas Okorocha, but this appointment was short lived because after 3 months, the Governor dissolved his cabinet. However, Hon Kennedy Ibeh was reappointed Special Adviser Political to the Finance Commissioner Dcn Chike Okafor who was reappointed a second time by the Governor two months later. By 2015, in a most convincing free, fair and revolutionary election ever recorded in the history of Obowu LGA, Hon Barr Kennedy Ibeh under the platform of APC became the Honourable Member Representing Obowu State Constituency in the Imo State House of Assembly and was sworn in on the 11th of June 2015. Months later, he became and still is the Deputy Majority Leader of the 8th Assembly. Hon Barr Kennedy Ibeh is married to Mrs Uche Kennedy Ibeh nee Uliem and their marriage is blessed with three lovely children, Kamsiyochukwu Kennedy Ibeh and Kosisochukwu Kennedy Ibeh (twins sons) and a daughter, Adaolisa Kennedy Ibeh to the glory of God. "Nkenke Enyi Umuariam Ancient Kingdom"
"Nkenke Enyi Umuokeh Autonomous Community"
"Nkenke Enyi Nnebi-na_Asonye Autonomous Community"
I present to you nma si na Imo puta - Beauty of Imo. He is an Award Winner at Face of Arise Afrika Awards 2017 Hon Barr Kennedy Ibeh.